Incognito™ Braces - What can we do to make you smile? Incognito braces are a bracket and wire system that is placed behind the teeth. Manufactured by 3M, Incognito braces are at the cutting edge of invisible brace technology. We’ve talked a lot about Incognito braces on our site because they are such a popular teeth alignment option, especially for our adult patients. Many adult patients delay or avoid getting braces altogether because they are concerned about the appearance of braces. They are sometimes concerned they may make them look juvenile or vain. They are sometimes concerned that braces will heavily impact the way they speak and the way they are perceived by colleagues, friends and family. Bachmann Orthodontics have trained, certified and specialised in Incognito braces for several years. This is because they believe they have no equal in hidden brace technology. 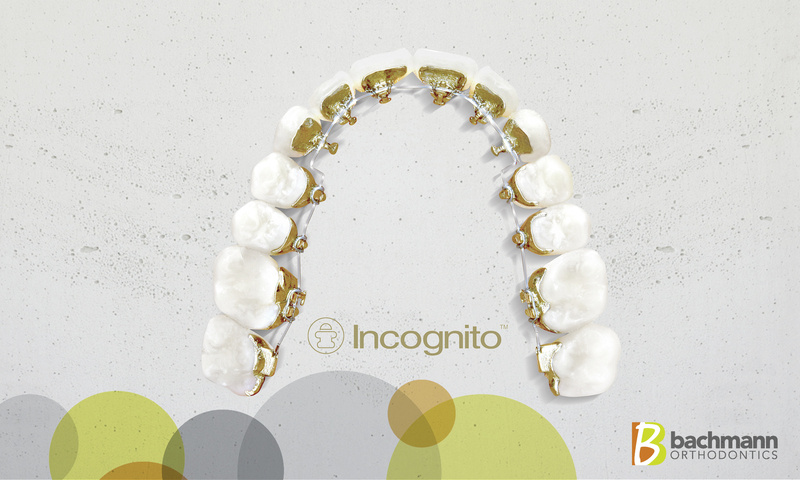 Incognito brace brackets AND wires are custom made for each individual patient, ensuring a perfect fit with minimal intrusion into the mouth space and no contact with the lips. Dres. Lutz & Claudia have achieved great success with their patients that choose Incognito – while maintaining privacy with this very discrete brace system. They also find that after a short initial period of adaptation, speech is hardly affected, if at all. Most patients adapt rapidly to Incognito and many almost forget they are even wearing braces. Incognito braces are very easy to clean but require the same level of care as other brace systems with slightly more ‘chair time’ required due to the extra time required to access and adjust the braces throughout the life of the treatment program. Please contact us at Bachmann Orthodontics and we’ll be happy to book you in for a free initial assessment consultation at a time convenient for you. We can walk you through all your treatment options, including Incognito braces and their benefits.